OK, I cycle (slowly) a lot of climbs. But let me go out on a limb and say this is my absolute favourite climb – especially the south side. I am occasionally asked why I started cycling uphill. My “epiphany” came one winter skiing in Val d’Isere. I kept staring at this beautiful little road surrounded by high alps and mentioned that it would be a nice place to bicycle. 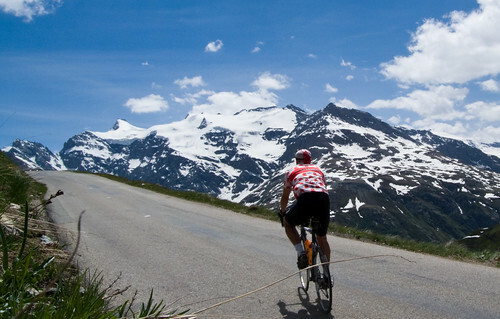 Only later did I learn that it was the highest paved pass in France @ 2770 metres – the legendary Col de l’Iseran. 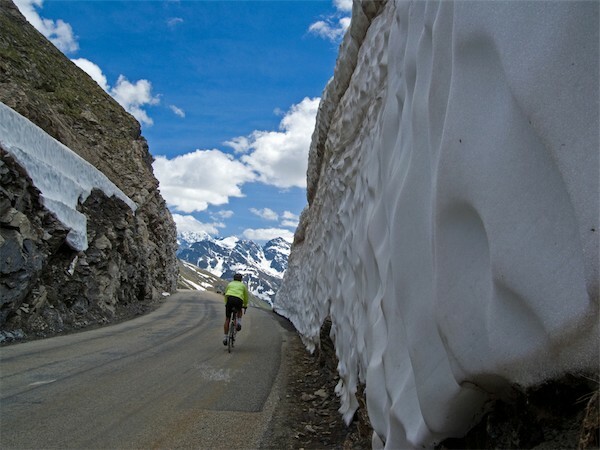 The epic Cime de la Bonette at 2802m is the highest paved road in France (and inches from the highest in Europe – but it is not a pass. 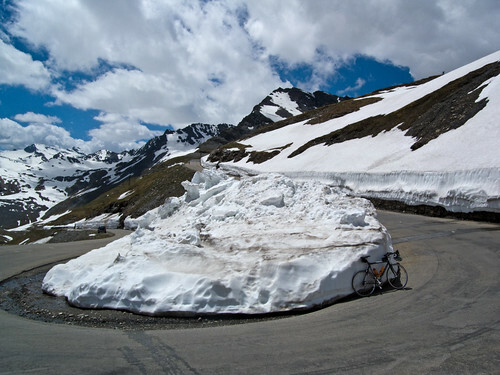 Col de la Bonette is 2745 metres – 25 metres lower than Iseran. After the ski trip, I had to wait 6 months until the snow was cleared, but I was so enchanted that I climbed it the day before it was open to cars. Addiction begins. Today was the second time to climb the south side. From Lanslebourg it’s 32 kms to the top, but after the short but steep Col de la Madeleine (no, not the famous Madeleine), the first 18 kms are generally flat and peaceful. Then the road turns up. 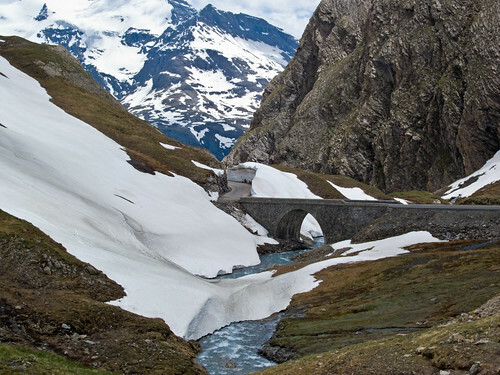 June is a great time to climb – it just opened – and there is plenty of snow around. Despite a heat wave down low, I was glad that I brought a couple of jackets for the descent. Obligatory, even in July/August. Best climb of an already great year. Love that first pic William. Keep the (bicycle) fire burning. Will, just wanted to say thank you for all the great posts. I can’t wait to tackle this climb in July (thanks to your recommendation). Love all your reports and admire your dedication to our mutual love. Thanks for checking Iseran out for me 🙂 Just got back in Gva and plan to leave for 5 days in the Alps on Sunday. BTW, you may kick on this. Just across in Italy there is the Vallee de Rochemolles leaving from Bardonnecchia. The Col de Sommeiller reaches just above 3000m. Rideable all the way to the top on a hybrid/MTB. Thanks you very much for the photos! 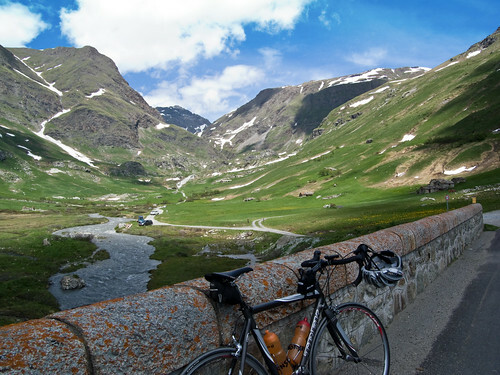 Rode this climb from Bourg Saint Maurice pass Tignes and Val’dsere. Can’t wait! Thanks for the info. Great site Will- well done on keeping it going. 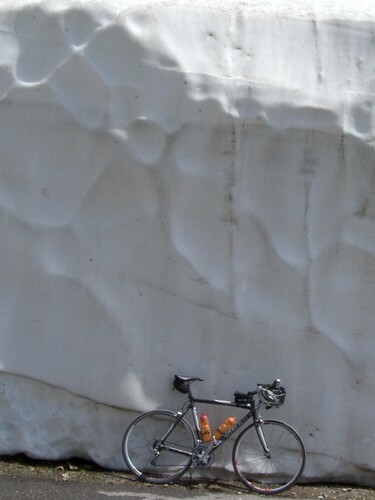 I’m riding RDGA in early June- 7th onwards- are we pushing it with snow on the high passes? I see you snook through the Iseran on the 18th June, perhaps we’ll have to reroute?